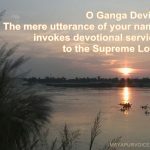 The ISKCON Mayapur Goshala is continually trying to improve their care of the residing three hundred plus cows and bulls, knowing that they are the primary citizens of Mayapur, and that their protection is most pleasing to the Supreme Cowherd Boy, Lord Krishna. In Srimad Bhagavatam 10.8.16 purport, Srila Prabhupada says that Lord Krishna’s first business is to give all comfort to the cows and the brahmanas. In fact, comfort for the brahmanas is secondary, and comfort for the cows is His first concern. 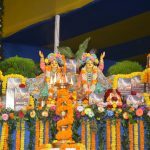 The ISKCON Mayapur Goshala is located in the south-east corner of the Mayapur campus, and is a beautiful eight to twelve minute walk from the Sri Mayapur Chandrodaya Mandir and Temple of the Vedic Planetarium. The Mayapur Goshala is a very peaceful and serene place, allowing anyone who comes to have a wonderful experience of offering service and worship. Every day, the cows are taken out in different groups to go grazing, from the early morning until midday. The cows and bulls are given the freedom to run around and eat the grass and minerals that the earth provides. They very much enjoy being out in the open with each other. In their different groups, the bulls and cows run and play together, eat together and groom each other, and enjoy socialising with each other. Watching them excitedly go out for grazing is just as enlivening as watching them come back, because they know that as soon as they come back from grazing, they will be fed many delicious treats, such as bran, freshly cut green grass, hay and mineral mixes. Over the years, the goshala has been improving in various areas, aiming to make the goshala a comfortable home for the cows and bulls. Within the last two years alone, the Mayapur Goshala has doubled in size, allowing for more cows to with as little overcrowding as possible. There are also separate pens for the cows who have special needs, such as pregnant cows and new-born calves, and cows and bulls who are either injured or sick, or too old to go to the grazing fields. Cows and bulls that have been tested positive for any contagious illnesses are quarantined and kept away from the general population. The goshala is working on obtaining more land, which will be beneficial for the overall health and happiness of the herd. There is also focused hospice care for those that are passing away. The Mayapur Goshala takes the comfort of each individual member of the herd into consideration, and ensures that the cows and bulls are comfortable and getting everything they need. Every day, the devotee cowherds regularly clean out the dung and damp hay from the cows’ pens, as well as clean the floors daily with a pressure wash and hard brooms. The troughs for water and feed are also cleaned on a daily basis, and the cows are given a daily supply of fresh, clean water and food. Around twenty cowherd men serve the cows in three shifts, making sure that at the end of each day, the cows are in a clean pen and are supplied with fresh feed and drinking water. An additional fifteen sevaks serve in the goshala, taking care of other services such as taking care of guests, medical work, office work and selling goshala and Ayurvedic products. At the goshala, medical care is available at any given time for the cows. Using holistic treatments primarily, they treat the cows and regularly check on them. 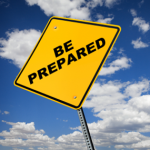 They also have allopathic remedies available when needed. The medical team keep extensive medical records on all the cows, whether it is for a small infection, or a serious disease. 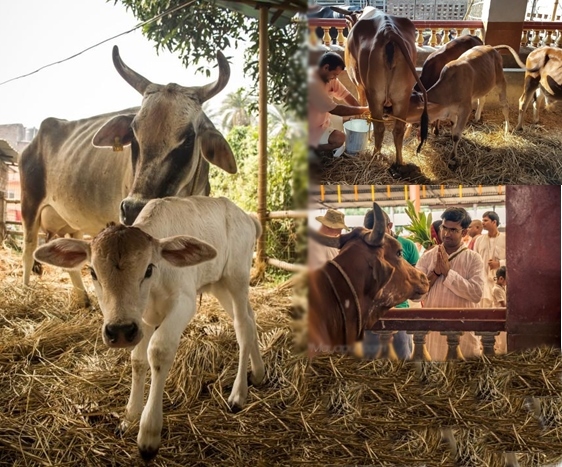 The ISKCON Mayapur Goshala puts their cows’ care and comfort at top priority, and rightfully so. The cows living in the goshala are taken care of for their entire lives. Whether they were born in the goshala, or just joined the herd, they are each given abundant love and affection, and are well cared for. The goshala has five doctors who are always ready to help. Dr. Adirupa das is a veterinarian, and lives at the Goshala. 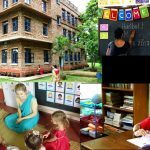 Dr. Joanne Alves (Visvadhika dasi ACBSP) is an expert and seasoned Homeopathic doctor who lives in the local Mayapur community. There is also Dr. Chowdhury from Krishnanagar, who is always available for consulting and comes when requested. And there are Doctors Sreekumara and Sreekala from the ISKCON farm in Belgaum, Karnataka. They are veterinarian homeopaths who are very experienced in their services, and are regularly consulted. Devotees are given the opportunity to serve the cows by adopting them. 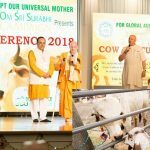 When a devotee adopts a cow, they take care of the costs of that particular cow’s feeding, medical care, etc., for the duration of their cow’s life. Especially for devotees who live in a place where they cannot physically maintain a cow, this is a wonderful opportunity to serve the cow who is considered to be one of our seven mothers, and the bull who represents Dharma. Previous articleWho lost Gujarat elections? Rahul Gandhi or Congress?